Kelly, who has served as interim provost since 2016, was named the College's chief academic officer following a national search. 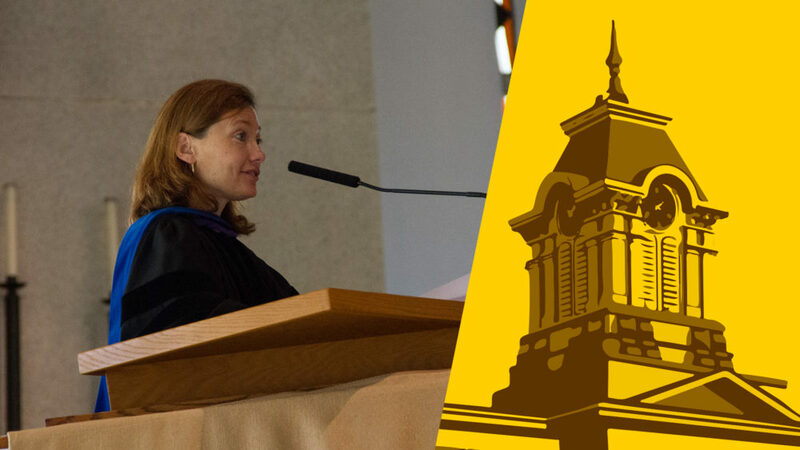 Dr. Brenda Kelly has been named the next Provost and Dean of the College at Gustavus Adolphus College, President Rebecca M. Bergman announced today. Kelly, who has served as the interim provost at Gustavus since 2016, accepted the position following a national search. She will assume her new responsibilities on May 1. As Provost and Dean of the College, Kelly will serve as the chief academic officer for the institution. Her responsibilities include partnering with academic departments and the Folke Bernadotte Memorial Library, leading academic strategic planning, and overseeing the Center for Academic Resources and Enhancement, the Office of Research and Sponsored Programs, the Center for International and Cultural Education, the Hillstrom Museum of Art, the Linnaeus Arboretum, the Office of the Registrar, the Johnson Center for Environmental Innovation, the Nobel Conference®, and the John S. Kendall Center for Engaged Learning. Kelly, who holds a bachelor’s degree in chemistry from Creighton University and a doctorate in medicinal chemistry from the University of Washington, has been a member of the Gustavus chemistry and biology faculty since 2002. 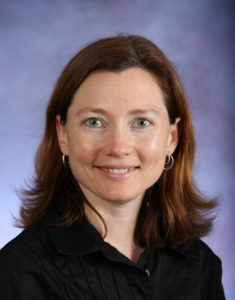 Before moving to an administrative role in academic affairs as an associate provost in 2015, Kelly taught courses in biochemistry, organic chemistry, and introductory chemistry while focusing her student-centered research on the relationship between biological enzymes’ structure and function. Recently, she co-authored a textbook, The Science of Cooking: Understanding the Biology and Chemistry Behind Food and Cooking, which covers a range of scientific principles of food, cooking, and the science of taste and smell. Prior to her time in the Office of the Provost, Kelly served as the chair of the chemistry department from 2011-2015 and director of the biochemistry and molecular biology program from 2013-2014. Her service to the College also includes extensive grantwriting experience in addition to coordinating the Howard Hughes Medical Institute (HHMI) Peer Mentoring Program and managing the Louis Stokes Alliances for Minority Participation grant. Kelly will lead the implementation of the academic initiatives of the Gustavus Acts Strategic Plan and guide work on updates to the College’s core liberal arts curriculum while continuing to support the institution’s strong tradition of student-faculty collaboration, study-away opportunities, and experiential learning through research, mentoring, and internships. Congratulations, Dr.Kelly! May God continue to bless you with vision, knowledge of divine will, keen attentiveness to students’ needs, and the gift of being able to accomplish your goals! Having lived and worked in Omaha for 25 years, and being familiar with Creighton, I know that you have a solid background from your undergraduate education. Your resume is most impressive, and so I am certain that you will succeed in your new calling, and that you and Gustavus will continue the college’s time-honored tradition of helping to be a major formative influence in shaping the lives of students, just as I was monumentally shaped and influenced by the faculty and administrators of Gustavus over 50 years ago!